When I wrote my coming out post in August, four months ago, I set goals that I wanted to reach by the end of 2014. I can proudly say I more than achieved them. I wanted to have 500 Facebook likes by the end of 2014, 1000 followers on Pinterest, and 5000 unique pageviews a month. As of January 2015, I have 764 Facebook likes, 1272 Pinterest followers, and over 16,000 unique page views. I’d say SUCCESS! I love sharing my life with you all and cannot wait to see what 2015 has in store! So I have set some great goals to make this year the best one yet! I want to reach out to at least five companies that I want to work with. If they say no, at least I put myself out there. Attend a blogger meet up. I went to a blogger event at Orchard Supply in October and I’d like to go to at least one a quarter this year to connect and meet others. Engage in social media more. I haven’t had a ton of time to dedicate to social media right now but I know that will change. I would love to hop around to see what other’s have been up to, leave more meaningful comments, and just connect more. Consistently have two weeks worth of drafts created and ready to post if needed. Create a pinning schedule for my current content. Grow Instagram. 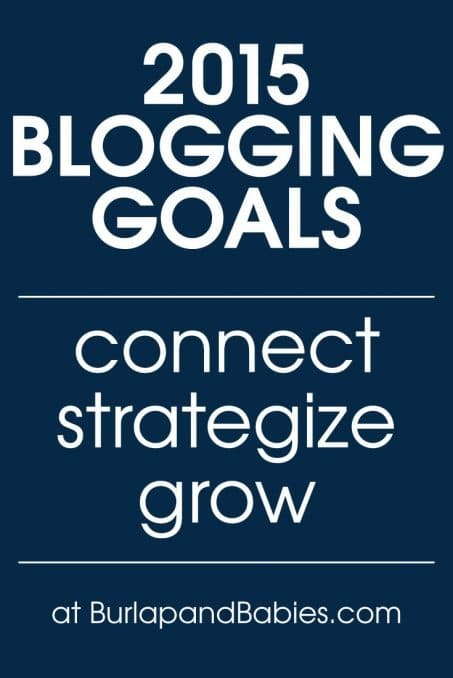 In August, I made the switch from a personal account to my blog name and since then I have seen an increase in followers but I know I can do better. Plus, I love to connect with people and that’s a great place to do it. Improve my photography. There are some free online classes I’ve found that I would like to take to improve. This includes purchasing some neutral backdrops and creating a photography lighting setup. Finish and succeed with Ruth Soukup’s Elite Blog Academy. I was having such a great time learning so much before Clara was born. I am ready to get back to it and learning. Open an Etsy shop to sell printables and other projects. So hold me to these goals people in case you see them slipping away! What goals have you set, whether home or personal life. I would love to join you in this journey. So share with us! What goals are you working on this year? Share in the comments below. Way to go on achieving your goals! I am struggling with figuring out an efficient way to use Pinterest–any tips? Thanks! From what I’ve learned, take like 10 minutes to pin in the morning, noon, and evening. Stay constant and you’ll get shown in the newsfeed more frequently now. (Which I am a terrible example of that right now but that’s what I’ve been reading is the best way to do it and I’ve heard from other bloggers it’s super successful.) Good luck! These are great goals!! I wish you tons of success this year, Amanda! These are great goals! I game to admit, my social media numbers are higher than yours, but my pageviews are about the same. Where does most of your traffic come from ? Hi Katie! 90% of my traffic comes from Pinterest so I am working on optimizing those posts where people come to so they stick around longer on my site. Dang! Way to go Amanda!!! Those are really good goals for 2015. While I’m happy with my social media numbers, I really struggle with my pageviews. 16K/month is amazing and 50K would be so awesome, go get ’em! Wow, you had a great year!! Just meeting goals and checking them off feels so good, but you went above and beyond! Way to go! 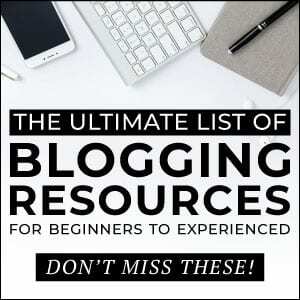 I’m excited to keep reading your blog and connecting more this year! Way to go! Thanks, Natalie! I have loved following along on your adoption journey and excited to see what the Lord has planned for you this year.